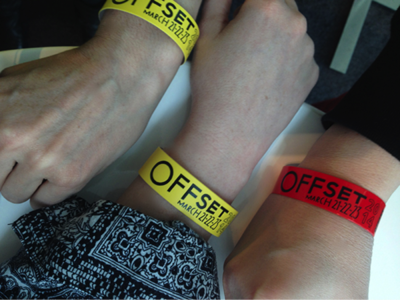 Last weekend Maya, Ashley and I were lucky enough to escape London and attend the Offset conference in Dublin, Ireland. Offset – which is held over 3 days – is a showcase of talks and interviews from a selection of acclaimed Irish and International designers, animators, illustrators, artists, photographers and advertising folk. 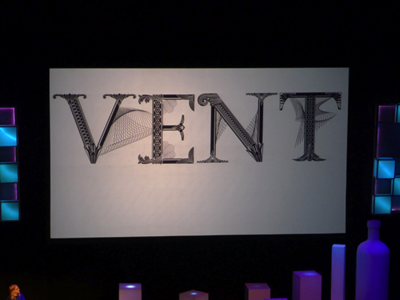 The 2014 event saw 24 speakers take the stage and share their thoughts on working process, inspiration and influences. 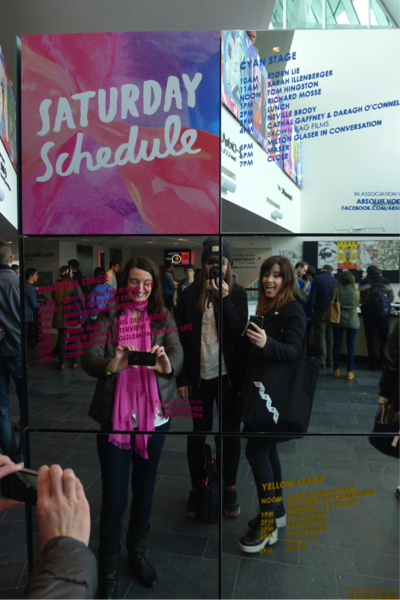 Housed in the relatively new Bord Gais theatre, the conference was smaller than I imagined it would be, but in a really good way – an intimate affair with a friendly feel rather than a vast sprawling event. Marina Willer from Pentagram talked about embracing theories of 'out of control', which she applies to her practise of creating flexible identity systems with her team. She praised being 'not practical' in the expression of design and colour, her influences from her homeland of Brazil and how her children's view on the world was always refreshing and imaginative. Favourite quote from one of her twins: "Is is dark inside me?" 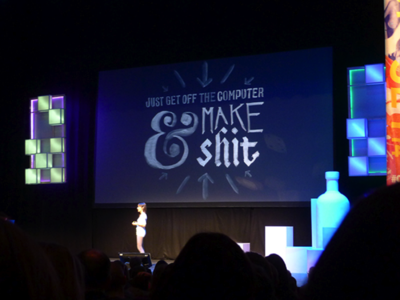 Jessica Walsh praised the benefits of creative play, following your gut, and getting off the computer to make stuff. And how this free working process can feed back into your daily practise and client work. She used examples of her impressive self-initiated typographic works, and numerous naked photoshoots from the Sagmeister & Walsh studio, alongside client pieces that were highly influenced by their play-infused processes. 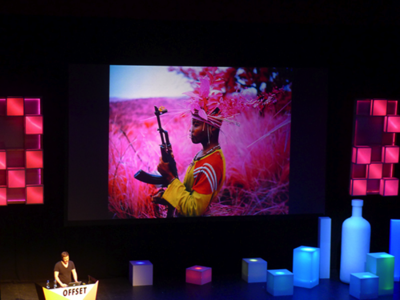 Photographer Richard Mosse described his camera as 'the beast that ruined my life' and then proceeded to show us a trail of his documentary work that lead up to his incredible Infra Red series – a project featuring warring tribal fractions in the Congo, transformed into vivid colour through experimentation with Infrared film. 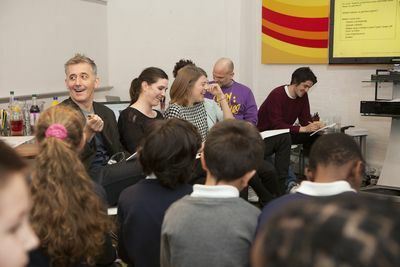 Neville Brody, design legend and Head of Communication Art & Design at the RCA talked about working process, education and how edges between different creative disciplines were blurring. He shared some work from his studio – such as the redesign of The Times, as well as the recent rebranding for the RCA undertaken with Margaret Calvert of roadside signage fame, and encouraged us to make trouble and not to be too nice. Marion Banjtes, illustrator and typographer, talked of her love for obsessiveness, collecting pictures of sidewalks, and having something to say in your work. And pleaded "find something to say with the alphabets you create!" She then shared her vast selection of intricate work and explained how she was now going to work in a completely different way after releasing her monogram of work and closing that chapter of her creative career. The full schedule of speakers is here. 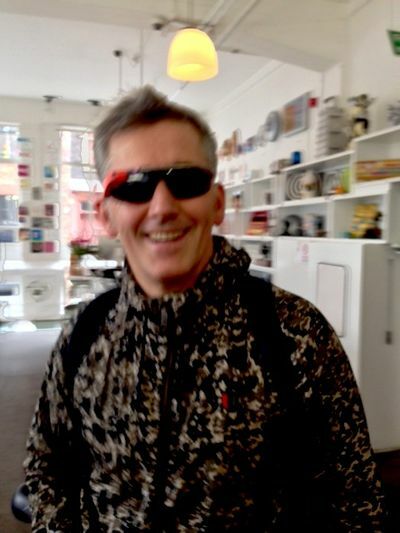 No matter what your connection to design is, I'd predict that it would be impossible to leave Offset without experiencing some manner of zap to the brain. For me as a designer, art director, and more recently mentor, this avalanche of information served as a great reminder of why I love what I do. There's nothing more inspiring than hearing people talk passionately about their work and what makes them tick, to remind you what your own version of that is. And ultimately, to reconnect with that. Get involved within the community. The world is a design problem. Cravendale returns to TV screens this spring with the launch of the new ‘Barry the Biscuit Boy’ campaign. A 30” TV spot kicks off the brand’s integrated campaign, complete with fresh, new packaging in store. 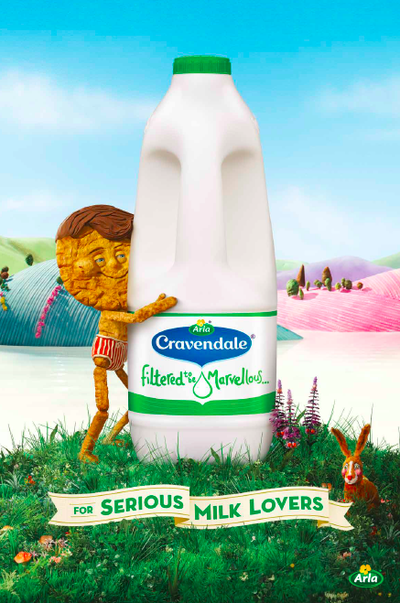 The ad communicates the irresistibly delicious flavor of Cravendale’s ‘filtered to be marvellous’ milk, cementing its reputation as the brand for serious milk lovers and appealing to Cravendale’s core family audience. Created in collaboration with Blink Ink, the film combines the visual flair of directors Andy Huang and Joe Mann with the talents of veteran puppeteers Johnny and Will to bring Barry and his milky world to life. Breaking on Saturday 29th March during Ant & Dec’s Saturday Night Takeaway on ITV 1, the 30” ad aims to maximise the brand’s exposure amongst milk lovers as well as positioning Cravendale as the ultimate dunking partner. Alongside the TV and print executions, the campaign will be supported by social media activity featuring our very own social media baker, with baker extraordinaire Fancy Nancy engaging with Cravendale fans and creating edible masterpieces in response to cultural moments. The results will be shared on Cravendale’s channels as the campaign unfolds. Tesco's annual Mum of the Year Awards, which were held last night, honour women who go above and beyond the call of duty to help others. It's a wonderful way to recognise ordinary mums who do extraordinary things. To support this year's event, Tesco asked us to create TV Idents and a social campaign. We wanted the campaign to be inclusive of all mums and celebrate the everyday, not just the super mums seen in the show. The ultra-short stories each capture a sweet and fun moment, including what is possibly the most creative home-made fancy dress costume ever. 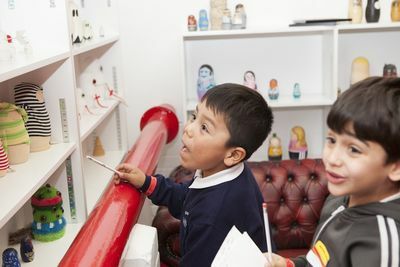 Last week saw our Hanbury Street offices taken over by kids. 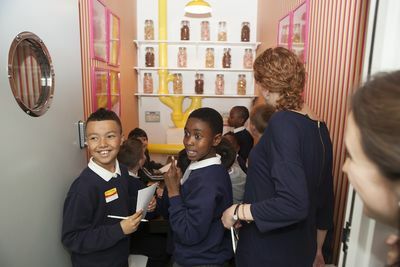 In partnership with Enabling Enterprise, we hosted a challenge day for a select group of 20 Pupil Premium students from Stamford Hill primary school aged between 7 and 10. 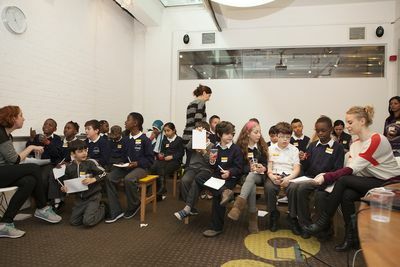 Over the course of a day, we attempted to give these kids a taste of what it’s like to work in the creative industry. Split into teams and paired with volunteers from WK who acted as their mentors, we set a challenge to design the perfect office space, inspired by a tour of our offices. At the end of the day, the kids presented their work back to a panel of WK judges, like a baby version of Dragon’s Den. Our panel featured our very own office manager Ronny, ECD Tony D, art buyer Laura, and creatives Katie, Laurie and Toby. After much deliberation and some tear-jerkingly cute presentations, which included talks of dinosaurs and time machines, the winners were The Kool Kajad Kids (Kajad being an amalgam of the first letters of each of the group members’ names; K=Kyran, A=Ajja, J=Jean-Baptiste, A=Arad, D=David). Presenting with impressive charisma and confidence, their vision included a giant fish tank spanning across an entire wall, containing whales of course, and a castle/fjord entitled ‘Jean-Baptiste’s Design Studio’. They even used 3D effects on their poster, incorporating collage techniques to bring to life various French landmarks including a miniature obelisk and The Eiffel Tower. Thinking big but also within reason and in Ronny's words “presenting ideas that we could actually build,” they were the stand-out team. Watch this space for some more exciting events to come as part of WK’s Doing Good Initiative. In the meantime, check out the pictures from the big day. 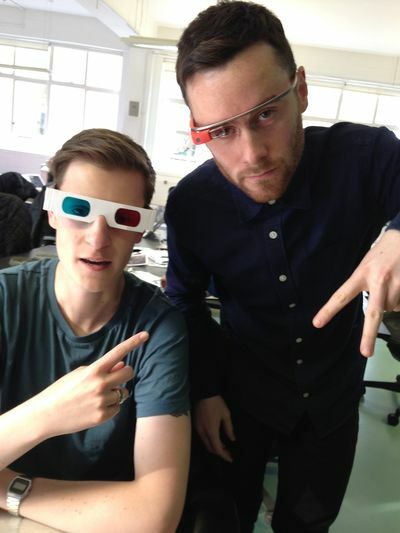 Google Glass arrived at Wieden+Kennedy London this morning. 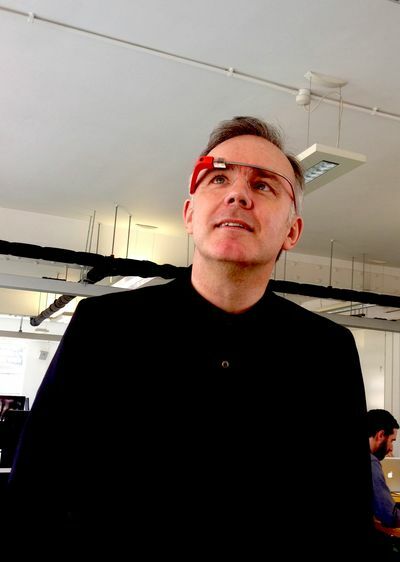 Opportunity for much larking about exploration of new communications channels for clients. Watch this space for updates on our experiments with the kit, what it can do, and how it might be relevant / useful for advertisers. Author Wieden Kennedy LondonPosted on March 28, 2014 March 31, 2016 Categories in the officeLeave a comment on Should’ve gone to Specsavers? A few months ago, W+K account director Hanne packed her bags and waved goodbye to her everyday Shoreditch surroundings to try something completely new – putting her skills to use with an NGO in Uganda for a few weeks, as part of the TIE programme. 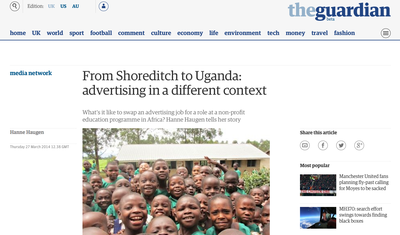 Hanne has penned a story for The Guardian about her time there, and it's up on their site now. Read the whole piece over on The Guardian or right here on this very blog. In October I found myself in an unexpected place: rural Uganda. I am normally at an adverting agency in Shoreditch called Wieden + Kennedy. The opportunity to go to Uganda arose at work. You could apply do a placement with an NGO, through a programme called the International Exchange (TIE). TIE pairs the expertise of communications professionals with the needs of non-profit/NGOs to create sustainable change – contributing skills that these organisations need but rarely have the resources to pay for. To be considered you needed to articulate your motivations. It felt like the right time in my career to take a risk and, on a personal level, I wanted to gain a different perspective on what I do, on the world and on myself. Before I was fortunate enough to get picked, I knew that I wanted to go to Africa. It felt like the furthest removed from normal life and I knew it would challenge some of my preconceptions about the continent. I looked into a few Africa-based projects, but The Kasiisi Projectstood out for its focus and what it wanted from me. They work to improve the poor educational opportunities available to children in the areas surrounding the Kibale National Forest – east Africa's largest primate habitat. Through a range of educational programmes in local schools, the project supports the community as well as instilling in it an understanding of the importance of its natural environment. The project helps children stay in school, opening up opportunities for them beyond subsistence farming. Close to 100% of The Kasiisi Project's funding is from abroad but its long-term ambition is to become self-sustainable, with income-generating initiatives to support the school programmes they run. My brief was to create a business and communications strategy to this end. The assignment was in and of itself a meaty challenge. 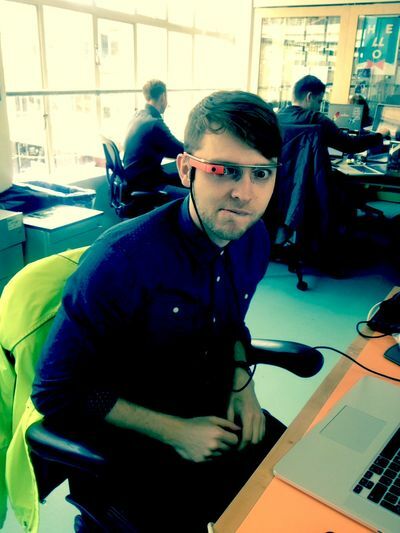 I'm involved in strategy in my role at work, but rarely tasked to do it on my own. Add to that a foreign culture, a complex issue and board of directors comprised of local academics, who had to vet and agree to anything I proposed. There was a lot to contend with. Some of the biggest contrasts to my life back home were practical. Power and internet connections were, if not quite luxuries, then unreliable at best. Particularly during the rainy season power-outages were frequent. The heavy rain also meant that the roads – and I use the term loosely – were so bad that a journey of a few miles could easily take hours. I learned to work around, even embrace this. There's something wonderful about letting life happen and not try to control it all. Professionally, what felt like the biggest revelation was the change in my perception of the advertising industry and the skills I've developed as a result of being a part of it. I've always enjoyed working in advertising and taken pride in what I do, but to some extent I've been guilty of seeing the industry as a bubble, divorced from the real world. Most people are inherently distrustful of ' "big business'", and ofsee advertising agencies as their henchmen. There are also misconceptions around what an agency actually does – as the general public only see the output of a long process, involving months, sometimes years, of insights work, big strategic and creative debates, problem-solving, hard work, sweat and tears. What I saw through my TIE placement is that the skills we develop from this process are hugely beneficial for an NGO. Budget and resource constraints require innovative approaches to solving problems. Complex problems require the ability to understand underlying issues, finding the pertinent insight and drilling down to a workable solution. And the crux of what we do – making sure a message is clearly articulated and heard by the right people – will have a big impact on an organisation's development, which in turn drives social change. At the Kasiisi Project I was not met with scepticism. Rather, a new way of thinking was welcomed. There was no lack of understanding of the importance of communications and the need for a clear strategy – the problem was not having the resources to develop it. My experience from advertising gave me licence to present some challenging ideas to the board. The work I did gave them a clear idea how to move from being an NGO operating within a community, to being more of a community-based social enterprise. Advertising's ability to help affect social change may become more explicit as time passes. The more people who benefit from an experience such as TIE, the more likely this is to happen. By Hanne Haugen, account director, W+K London. The annual British Arrows awards ceremony took place on 26th March in London, with W+K ECD Kim Papworth, Chairman of the Jury, accompanying host Jack Whitehall on stage to present the awards. W+K London picked up a total of seven arrows, four of which went to Honda 'Hands'. 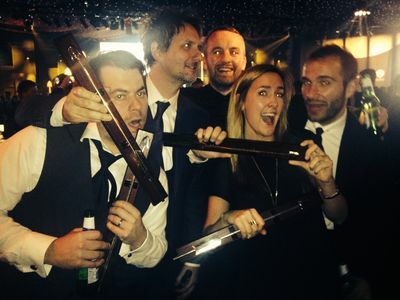 Hands picked up gold for ‘Vehicles and Automotive Products’ and 'Best over 90” Cinema Commercial’, as well as two silver arrows for 'Best over 90″ TV Commercial using Paid-for Media’ and ‘Best over 90” Web-Based Film’. Three's 'The Pony' received two silver arrows for 'Telecommunications Services (Networks) and Products’ and ‘Best 30” – 60” TV Commercial’, and Lurpak 'Weave Your Magic' was awarded a silver in the ‘International’ category. 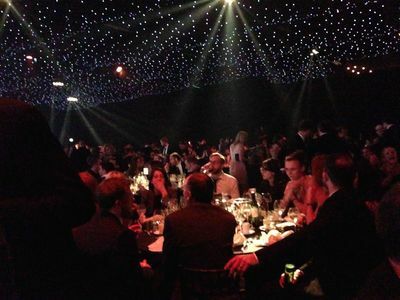 Last night the British Arrows took place under the star-studded ceiling of Battersea Evolution. Our ECD Kim Papworth, Chairman of the Jury, accompanied the host Jack Whitehall on stage to present the awards. Given this year’s outstanding shortlist, stakes were high, but our work picked up seven arrows, four of which went to Honda Hands (recently named as one of TED’s ‘Ads Worth Spreading'). Hands picked up gold for ‘Vehicles and Automotive Products’ and 'Best over 90” Cinema Commercial’, as well as two silver arrows for 'Best over 90" TV Commercial using Paid-for Media’ and ‘Best over 90” Web-Based Film’. 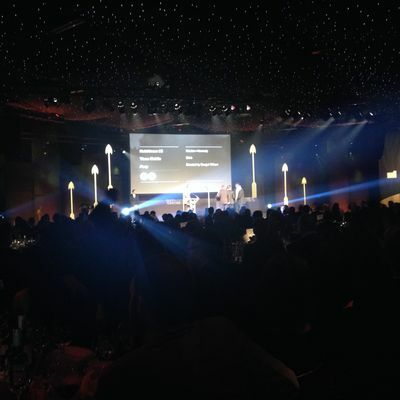 Three's The Pony received two silver arrows for 'Telecommunications Services (Networks) and Products’ and ‘Best 30” – 60” TV Commercial’, and Lurpak Weave Your Magic was awarded a silver in the ‘International’ category. Today marks the 27th anniversary of Nike's Air Max 1 model. We've got a pretty decent collection between us here at W+K – from the lived in to the brand spanking new – so we celebrated the occasion by lacing up our favourite pairs and getting stuck in to some birthday cake (which we ran off in our Run Club this evening).